For many it’s the snowdrops and the daffodils that kick-start that spring feeling. For me it’s seeing dull shrubs burst into life. 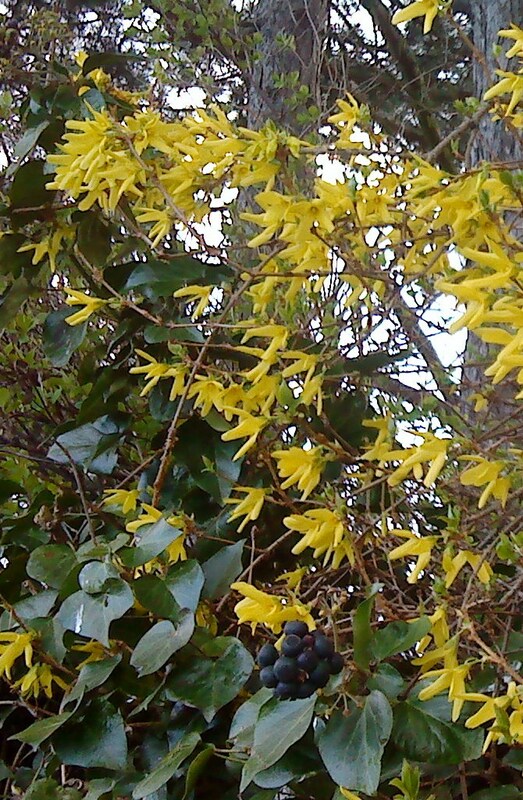 First it’s the leggy forsythia,(*adopts Brucie voice* “Good show, good show”) so boring and unkempt for most of the year, apart from the soul-lifting yellow splash that suddenly arrives in March. I don’t like forsythia in my own garden, but I love to se it everyone elses’ front yard to tell me everything is about to get more colourful. 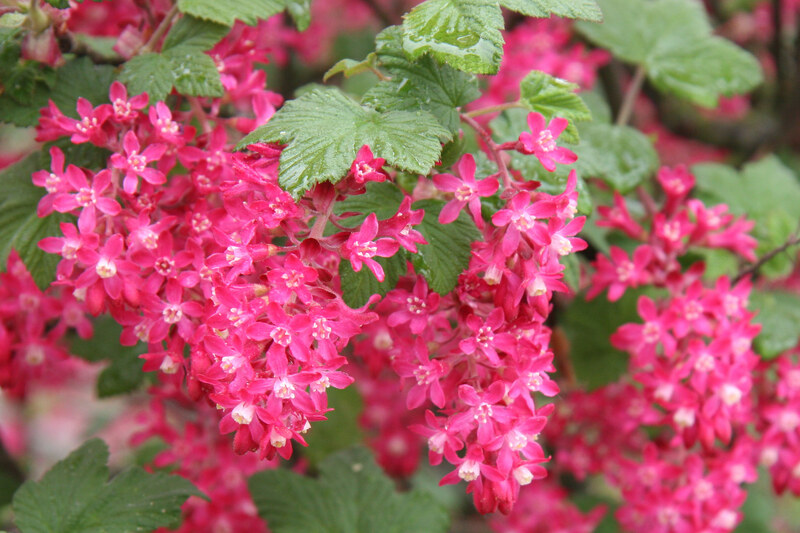 Then it’s the flowering currant, with its bright green textured leaves, just like its edible cousin, and hundreds of dangley clusters of pinky red flowers. 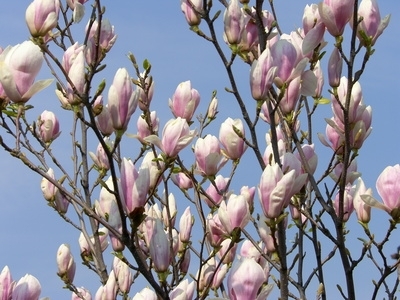 Now it’s time to be impressed by the magnificent magnolia trees. I have several favourites as I drive across town every morning to drop the kids, and was appalled when a large specimen, probably two decades old, was chopped down in a front garden a couple of years ago. It possibly blocked some light but would have been leafless for many months and flowers come before the leaves. Shame. 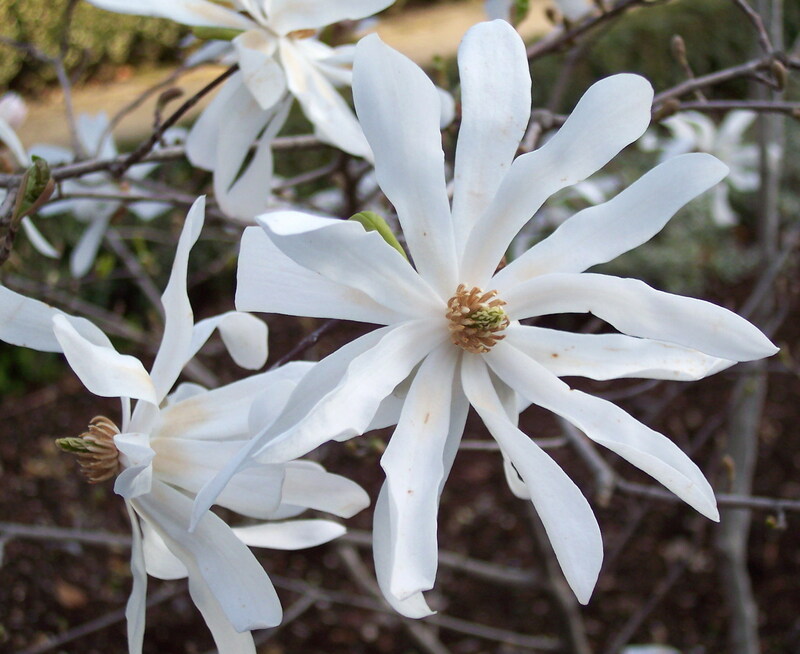 There seem to be lots of new ones being planted though, as small magnolia stellata seem to be everywhere on my school run. Watch it though, because even though they look small now, they will grow to 15 or 20 feet.